Railroad museums are fascinating places of history, whether you carry a particular interest in trains or not. They teach us about one of America's oldest industries, how it functions, and its continued importance within today's economy. Many in the public have no idea that many of the everyday products and items found on their store shelves were transported, at least part of the way, by train. Many museums today are non-profit organizations relying on donations and volunteer help to remain open each year. However, there are some which receive either federal or state subsidy (such as the National Railroad Museum in Green Bay, Wisconsin; California State Railroad Museum; and Railroad Museum of Pennsylvania. Because of the equipment's size and complexity, collections are incredibly difficult not only to restore but also maintain. If you may ever be interested please consider assisting a museum near you; their hard work preserves many noteworthy pieces which would otherwise be forever lost. There is no doubt railroads have changed much since the first entered service in the 1820's The industry peaked from 1880 through World War I and then slowly declined until 1980's deregulation witnessed a renaissance. Museums are virtually the only place you can get an up close look at the equipment and preserved structures. The railroad museum is not a new phenomenon although the number of preservation organizations have grown considerably since the 1970's. 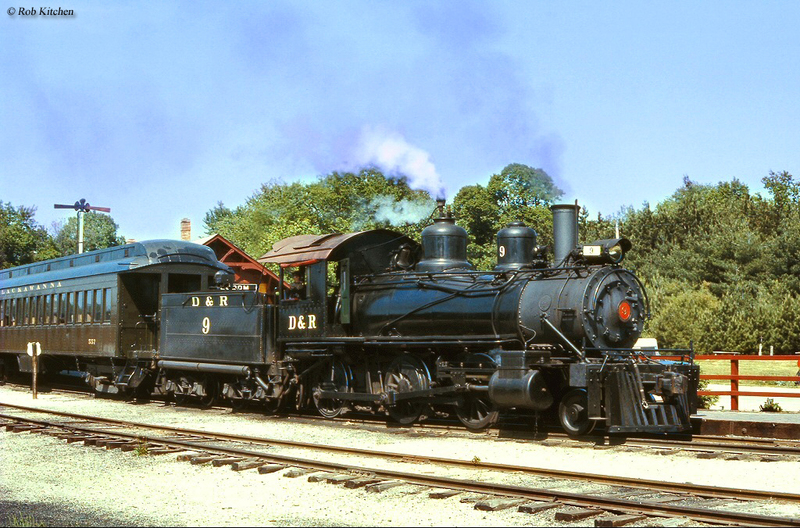 The oldest is the Railway & Locomotive Historical Society, Inc. founded in 1921. In 1934 the first "fan trip," or train excursion was hosted by a railroad. In his article from the September, 1969 issue of Trains Magazine entitled "Are These People Embalmers Or Enthusiasts?," noted editor David P. Morgan described the term "railfan" quite poignantly. It carries a range of sub-interests, from photography to modeling, but generally refers to folks who simply enjoy trains. Various clubs/organizations sprang up throughout the 1930s, '40s, and '50s. There were 65 such groups in 1934 and 96 by 1959 as noted by the "The Railfan, Inc.," edited by Rosemary Entringer from the June, 1959 issue of Trains. The next important organization to appear was the National Railway Historical Society which formed in 1935. But again, the modern movement of museums and tourist railroads sprang up in postwar times as diesels replaced steam and railroads disappeared through merger. Some railroads recognized their own history by creating museums to house preserved collections such as the Baltimore & Ohio's facility in Baltimore (opened on July 4, 1953); later, Union Pacific did the same in Council Bluffs, Iowa, unveiling its museum there on May 10, 2003. In 1956 the National Railroad Museum of Green Bay, Wisconsin was born; in 1958, it was recognized as such by the United States Congress. Two other noteworthy national organizations include the Smithsonian and Steamtown National Historic Site of Scranton, Pennsylvania. The latter began as a non-profit founded by F. Nelson Blount in 1964. It was officially known as the "Steamtown Foundation For The Preservation Of Steam And Railroad Americana" which would operate Steamtown, USA based in Bellows Falls, Vermont. Blount was an affluent individual, whose family had owned the largest seafood processing company in the country. His collection was quite impressive, which included Union Pacific 4-8-8-4 "Big Boy" #4012 and Nickel Plate Road 2-8-4 #759. Altogether, he owned twenty-five examples of U.S. and Canadian designs, ten other locomotives, and twenty-five pieces of rolling stock. After passing away due to a tragic airplane accident on August 31, 1967, his collection became part of today's federally-owned Steamtown National Historic Site. 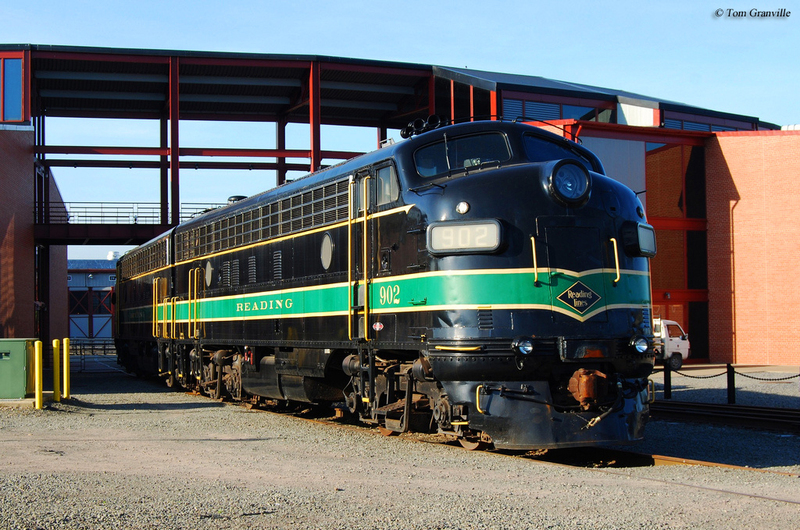 A number of facilities, like Steamtown also host excursion trains in addition to static displays as a means of drawing greater interest and visitorship, enabling the public to view this equipment up close and as it would have been seen in everyday service. Depending upon the length of trackage, rides can last anywhere from a half-hour (a few miles) to all day (more than 100 miles within climate-controlled cars). Whatever your interest in trains, taking such a trip can be quite enjoyable with memories lasting a lifetime. Today's museums range from the Illinois Railway Museum's impressive collection in Union to the relatively small West Virginia Railroad Museum based in Elkins. If you know where to look you can locate rail history in the most unlikely of places. For instance, the town of Wheeling, in the Mountain State's northern panhandle, was once a thriving terminal of the venerable Baltimore & Ohio. The location was also reached by the mighty Pennsylvania Railroad (PRR) over a short branch winding its way southward from the steel hub of Weirton, as well as the Wheeling & Lake Erie. The Railway & Locomotive Historical Society, Inc. (R&LHS) is the oldest organization in the country dedicated to the preservation of railroad history. From this group, formed in 1921, sprang every modern museum and related organization. The R&LHS currently operates ten local chapters throughout the country and has received multiple awards over the years for their efforts. The association, specifically the Southern California Chapter, made headlines in recent years by working out a deal with Union Pacific for the Class to reacquire 4-8-8-4 "Big Boy" #4014 for restoration and operation. This massive, articulated locomotive was a product of the American Locomotive Company delivered in September, 1941. During #4014's time it regularly handled heavy freights over Wyoming's Sherman Hill and through Utah. During its twenty years the locomotive logged 1,031,205 mile. According to Union Pacific its last major overall was in 1956 and logged another 41,000 miles before retirement came in December, 1961. By then most of the "Big Boys" had been dropper their fires although the last held out unitl July of 1962 (a few even remained serviceable at Green River, Wyoming until September that year). Only a month after retirement, #4014 was donated to the Southern California Chapter of the Railway & Locomotive Historical Society where she arrived on January 8, 1962 in Pomona at the Rail Giants Train Museum. In July of 2013 it was announced Union Pacific and the Southern California Chapter had reached an agreement. The "Big Boy" is expected to be in operation by 2019 and ready for the 150th anniversary of the Transcontinental Railroad's completion (May 10, 1869). The R&LHS has been involved in other noteworthy endeavors, such as the grand railfan tour of 1938 when the group sponsored a 6,000-mile journey that July across fifteen states and eight different railroads (Manitou & Pike's Peak, Virginia & Truckee, Milwaukee Road, Missouri Pacific, Northern Pacific, Southern Pacific, Rio Grande, and Western Pacific). It was quite an experience that spent considerable time along the Milwaukee Road's now-abandoned Pacific Extension. Today, railroads loathe hosting any public excursion due to insurance premiums and fears of litigation. What a trip it must have been in 1938! According to the article, "The Great 6000-Mile Railfan Tour Of 1938" from the August, 1980 issue of Trains Magazine and authored by Jack A. Pfeifer, for a price of $125.45 (coach-only) or $205.85 (lower-berth sleeping accommodations) one could experience the trip of a life-time seeing the western United States (the journey departed from Chicago's Union Station, reached Seattle's Union Station, wound its way south through California, back east to Salt Lake City and Denver, then finally returned to the Windy City). To visit the R&LHS website please click here. The W&LE accessed the city via the Wheeling Bridge & Terminal Railway (WB&T), a small belt line serving the area. At a point slightly north of Martins Ferry known as Terminal Junction, W&LE trains swung onto the WB&T, passed through the town, and then crossed the river just above Wheeling Island. Its tracks passed over the PRR and Wheeling Creek before following this tributary southward to a connection with B&O at Benwood Yard. Near Jacob Street the W&LE built its own spur off the WB&T that extended 1,300 feet to the south, near Market Street. Here, it constructed a modest depot not far from the B&O's ornate three-story facility). Wheeling, originally part of Virginia and the birthplace of West Virginia (as well as the state's first capital), completed the B&O's charter when the railroad reached the eastern bank of the Ohio River in 1852. While the company's future main lines to St. Louis and Chicago bypassed the town it was still an important location with considerable freight and passenger business arriving to and from Parkersburg/Huntington, Pittsburgh, Columbus, Cincinnati, and Cleveland. The city was also the home offices of a major B&O division (Wheeling Division). Alas, with manufacturing's decline, the steel industry's collapse, and the B&O's failing financial health Wheeling's importance faded. By the 1990's the city had, incredibly, lost virtually all of its railroads and the fabled B&O was no more, dissolved into the much larger CSX Transportation. Today, there are only a few minor attractions related to trains in the area; the Kruger Street Toy & Train Museum houses a large collection of model trains in different gauges (from O and G to HO). In addition, the Oglebay Good Zoo operates an impressive, 1,200 square-foot O-gauge layout as part of the famous resort. However, keen eyes will detect there is far more to see here; the B&O's beautiful depot in downtown Wheeling still stands, restored as part of the West Virginia Northern Community College. If you have old maps handy you can also track down the railroad's long-abandoned rights-of-way which featured stone-arch bridges and tunnels, needed during the 1850's to carve a route through the rugged topography. 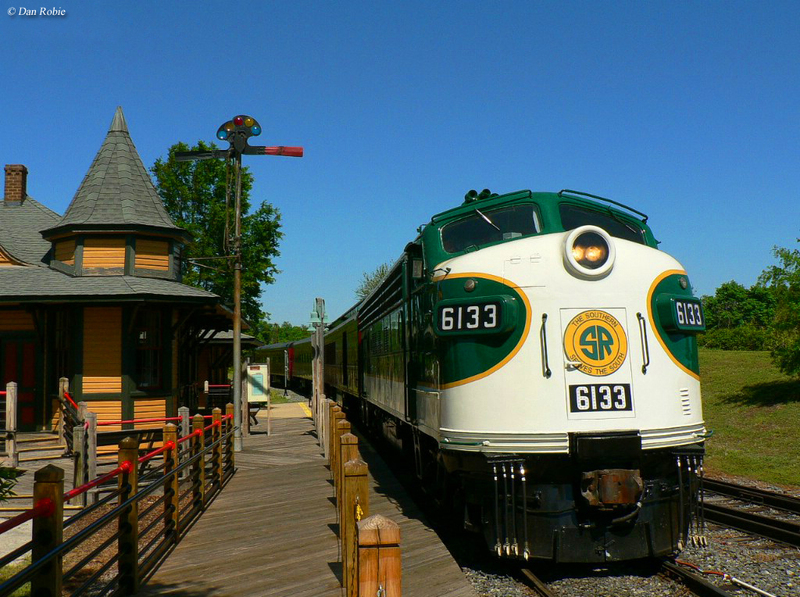 There are many fabulous railroad museums across the United States. One of the largest and most unique is the Illinois Railway Museum (IRM) based in Union. This organization was started entirely from scratch and has received virtually no public subsidy in growing the impressive collection it currently displays. 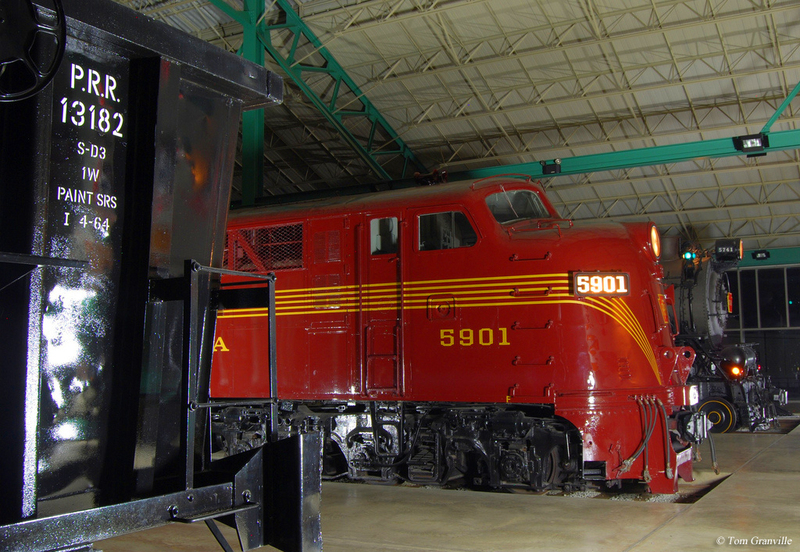 In terms of its collection, IRM is the largest railroad museum in the U.S. The organization began humbly with a history dating back to 1941 when a group of individuals looked to preserve the region's fading interurban network. With the onset of World War II the idea for an interurban/trolley museum was shelved. Twelve years passed before it was renewed and in 1953 the Illinois Electric Railway Museum was created. The organization's first acquisition was Cedar Rapids & Iowa City Railway's interurban car #65 (both the car and railroad are still in operation). However, without a permanent home the museum had no way to showcase its equipment or attract visitors. They searched long and hard for a location and ultimately found 26 acres near Union, Illinois. The purchase was finalized in the spring of 1964. Two years prior they had also made another significant change when the organization was renamed as the Illinois Railway Museum to more accurately reflect their goal. Their new mission was to preserve the state's and country's railroad history. With the help of numerous volunteers the new museum began to take shape, moving equipment from various stored locations. Over time a new railroad, yard, and storage buildings sprang up on the grounds, which has continued growing over the years. Currently, the organization maintains a collection totaling in the dozens broken down from steam, diesel, and electric locomotives to various interurban equipment. They are constantly restoring or overhauling pieces and also have a project underway to construct a small-town scene from the Midwest, dated circa 1958. According to IRM: "The Entrance Building will be a two-story structure with 36,000 square feet of space featuring dedicated permanent and revolving exhibits, lecture and film presentation halls, educational learning centers, archival storage, offices, and expanded public facilities." The point here is that, sadly, there are Wheeling's all over the United States; towns which had one or more railroads and all are now abandoned. These ribbons of commerce were once vitally important to the health and economy of such communities and should be remembered for the role they played in this regard. In addition, the iron horse provided a very good living for thousands of family, and still do for many. Exploring abandoned infrastructure can be a fun hobby. However, please make sure to never trespass and do so only if it is absolutely safe! Never explore tunnels which have not been authorized for use as part of a rail-trail or walk out onto abandoned trestles/bridges, which can be very unstable. Finally, if you have time consider volunteering or donating to a local museum. Money is always an issue; their overhead costs can be astronomical which says nothing of maintaining/restoring the equipment they own. For instance steam locomotives are extremely expensive to overhaul (usually costing millions and several years of volunteer effort). In turn, they provide history in motion and nothing draws a crowd quite like a living, breathing steam locomotive! Locating a railroad museum can sometimes be a difficult prospect; they are scattered around the country and not always in the most easy-to-reach locations. In addition, few are widely advertised or promoted within their local communities. If you visit this section of the website there are articles, broken down by state, highlighting all known museums and excursions throughout the continental United States as well as Alaska and Hawaii. Another great resource is Trains Magazine's, "Tourist Trains Guidebook," released annually through Kalmbach Publishing. The paperback title has been in print for several years which highlights every known museum, excursion, and railroad attraction throughout the country with a brief description and background of each. If you are a subscriber the magazine puts out something similar each spring in its May issue. Although it does not provide the same level of detail the piece does offer an up-to-date list which is quite handy.